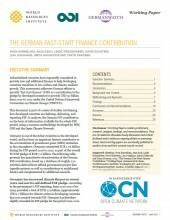 The present study, conducted by Germanwatch in cooperation with the World Resources Institute (WRI) and the Overseas Development Institute (ODI), provides a comprehensive in-depth analysis of the German Fast-Start Finance contribution for the period 2010-2012: What has been counted towards FSF? 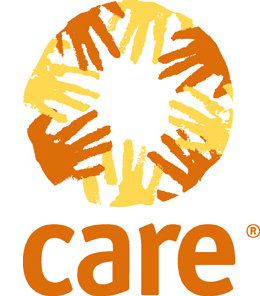 Via which bi- and multilateral channels have the funds been disbursed? Which thematic area has been focused on (mitigation, adaptation, REDD)? What regions have been prioritized? In addition to this descriptive approach, the study also provides guidance for political decision-makers by formulating recommendations for improving transparency and efficiency of international climate finance. The new paper by Oxfam Germay provides an overview of Germany’s performance regarding its fast start finance (FSF) pledges for climate finance which the German government promised at the UN climate summit in Copenhagen in 2009. Based on the available figures and data we conclude that Germany has fulfilled its promises, but has provided very little “fresh” money. Mostly the existing plans and budget lines were counted towards FSF. German climate finance has also heavily neglected adaptation to climate change. Furthermore, the paper gives an outlook on 2013 and 2014 as well as recommendations for future climate finance from Germany. 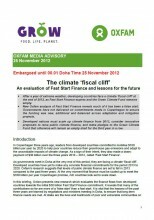 Shortly before the Fast-Star-Finance commitment period for Annex I countries (30 bilion US$ for mitigation and adaptation in poor countries between 2010 and 2012) ends, Oxfam publishes an analysis of the money provided. According to the report only 33% of the funds is “fresh” money. Only 21% of the funds were available for urgently needed adaptation measures to deal with climate change impacts. The report is published on the occasion of the UN climate conference in Doha, Qatar. In Doha negotiators are discussing how to continue the financial support after the end of the Fast-Start-finance period.